We also celebrate when times are rough. This philosophy has become so central to our family’s culture that every time we experience disappointment, our go-to joke is “how are we going to celebrate this?” We figure that if we can celebrate when things are great AND when things are bad, we can find contentment and joy in all things. We don’t always get to choose our circumstances, but we do get to choose how we respond to them. 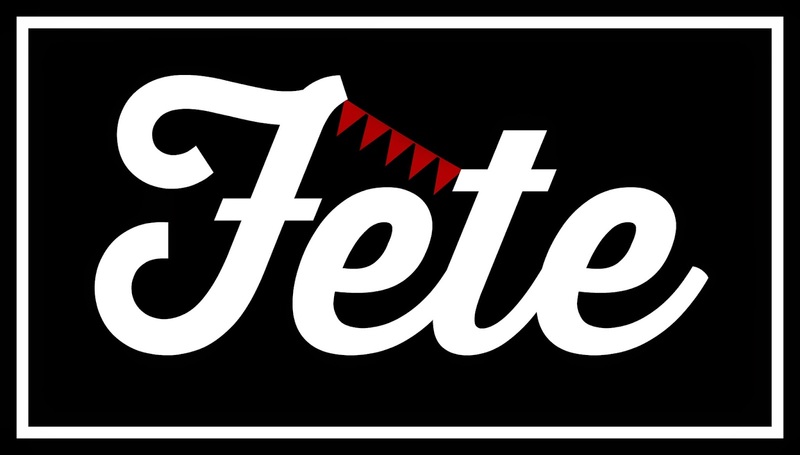 Fête is a gift and wine shop that we hope encourages people to live lives full of celebration and joy. We hope that you will choose to support this vision by purchasing some of our products and helping your friends, families, clients, and colleagues choose joy in the everyday. We are not guaranteed tomorrow, but we can fête today! 1. Check out our website and product selection. Consider doing some of your holiday shopping with us! Since we are just starting out, this first run will be done on a pre-order basis. This will allow us to find out what products you like and which ones we shouldn't invite back. Orders should be placed by November 15th. We will ship everything the week of December 1st. 2. Tell your friends! Help us spread the word about Fête, You can earn rewards points by referring a friend. Once your points add up, you can score major discounts on products. 4. Stay connected. We plan to roll out several new features after the first of the year, including item personalization. We are excited to launch this new adventure. We hope you'll join the party!